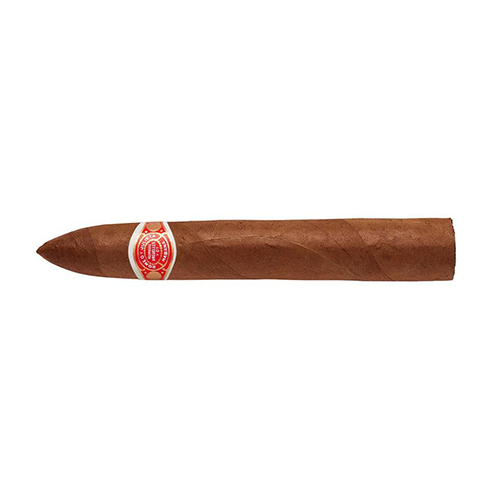 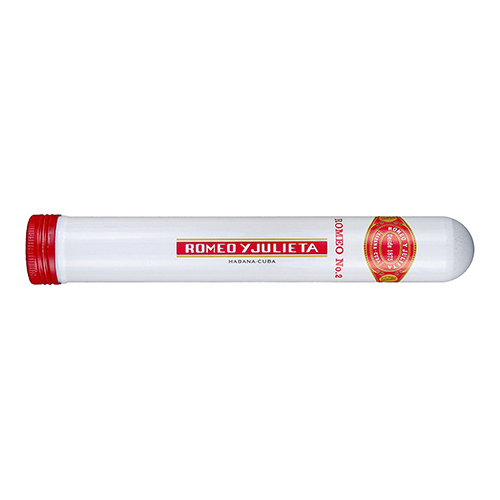 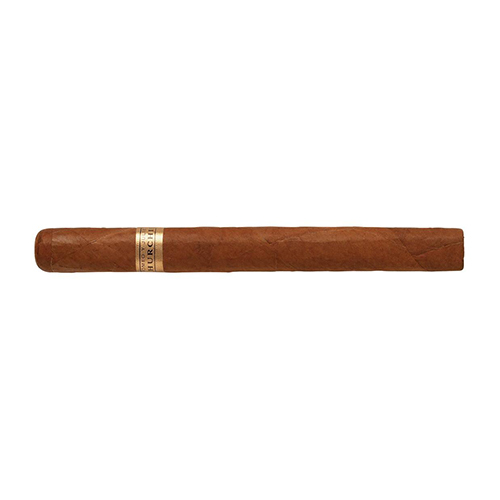 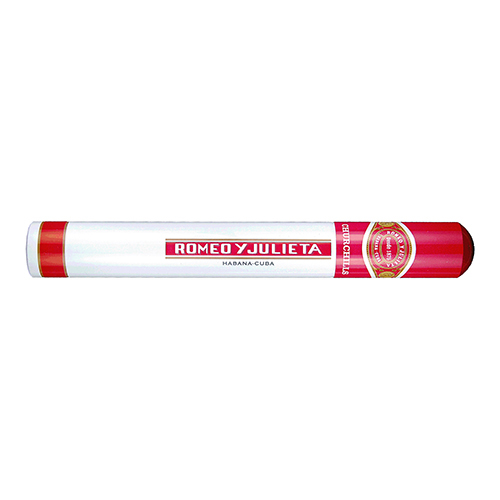 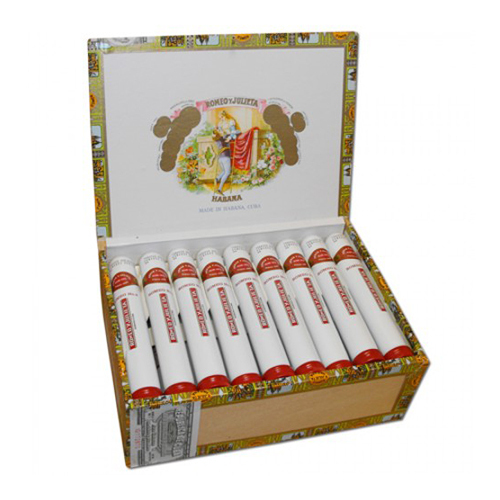 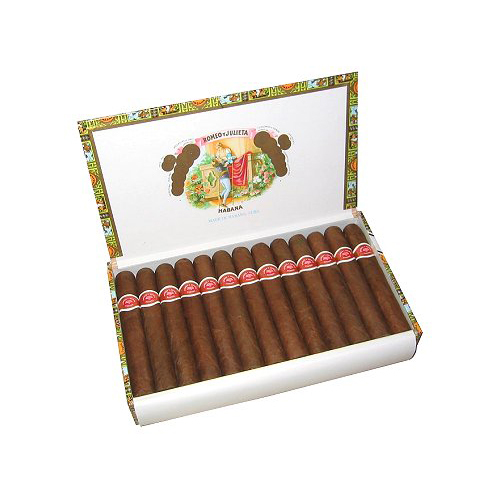 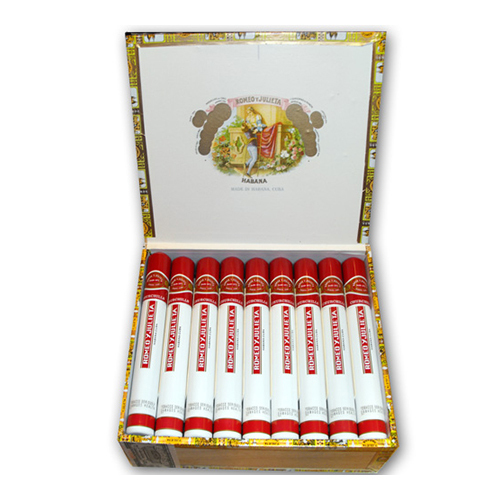 The Romeo y Julieta marque was established in 1875 by Inocencio Alvarez and Mannin Garcia. 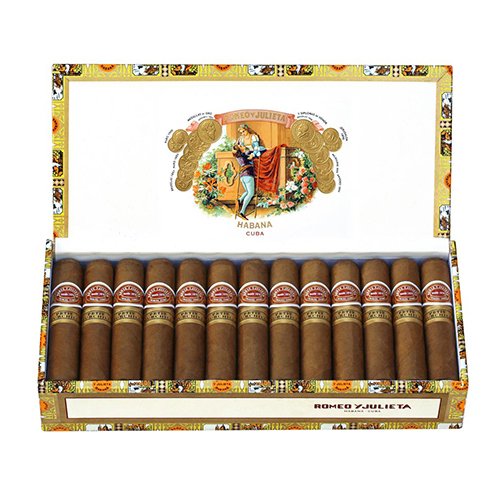 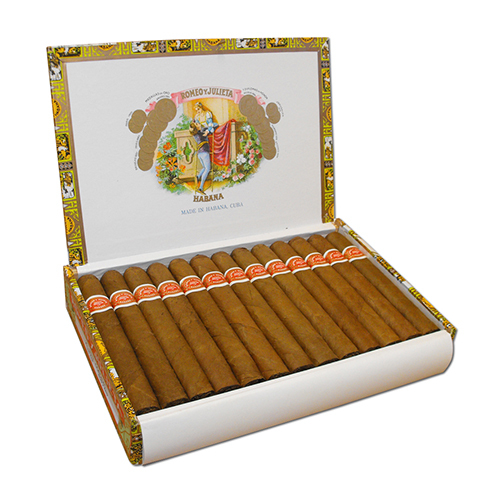 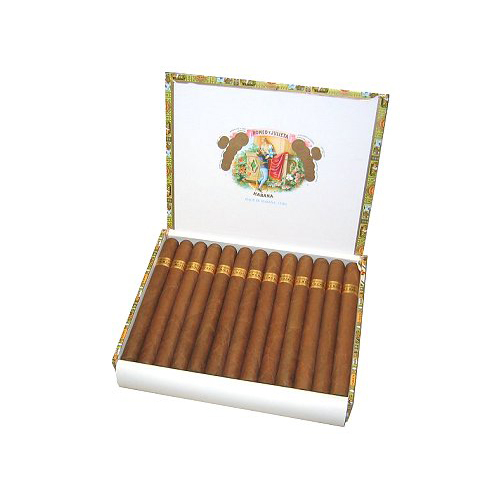 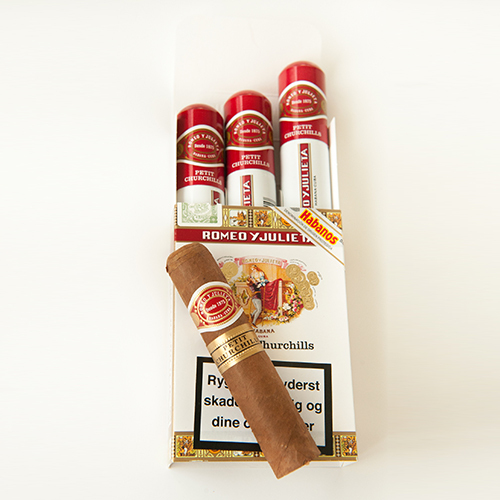 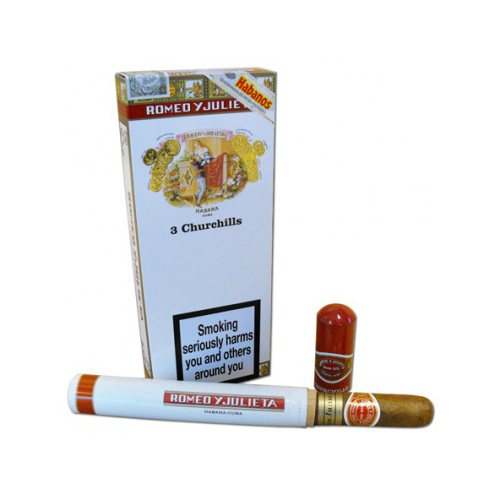 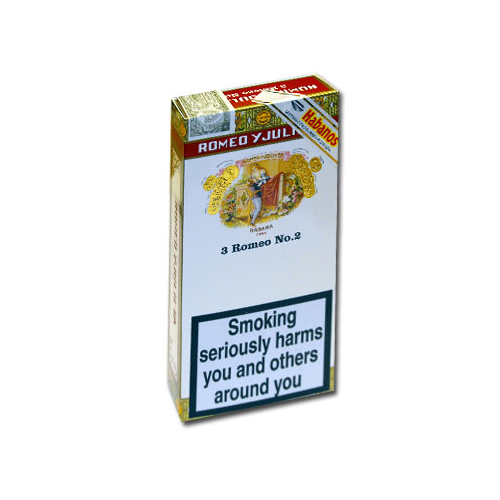 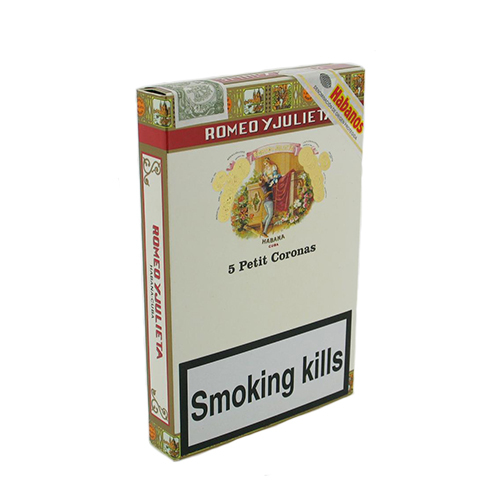 The brand is named after the Shakespeare tragedy and Romeo y Julieta was the favoured brand of Sir Winston Churchill. 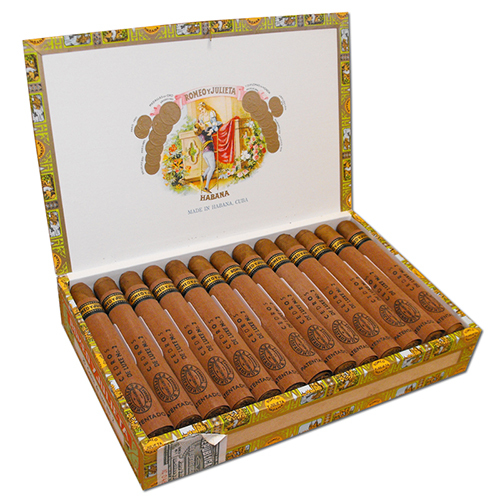 The flagship vitola of the brand is named in his honor, a long 7″ by 47 ring gauge cigar known as the Churchill. 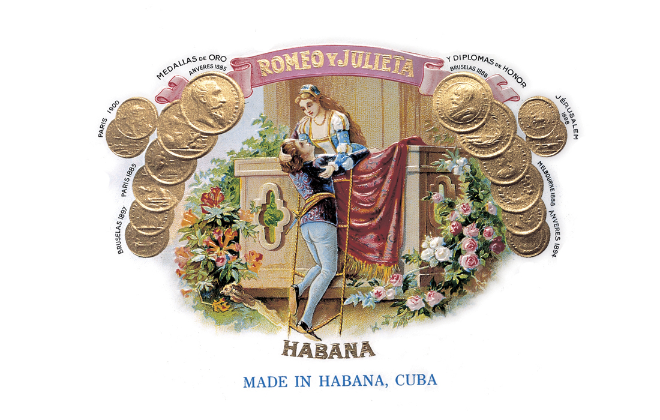 Between 1885 and 1900, the brand won numerous awards at different tasting exhibitions (as still evidenced by the gold medals on the brand’s logo). 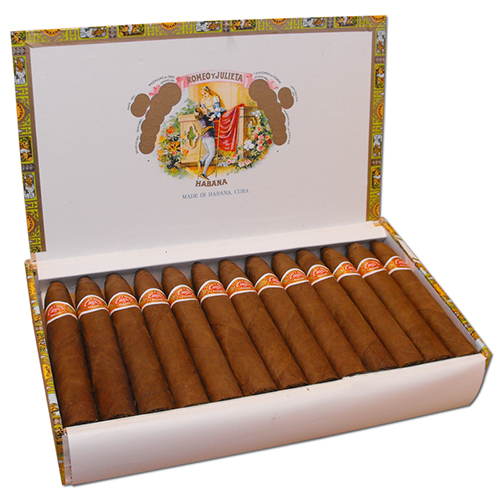 However, the brand truly bloomed after it was acquired by Jose “Pepin” Rodriguez Fernandez, former head of the Cabañas factory in Havana, and his firm, Rodríguez, Argüelles y Cia, in 1903. 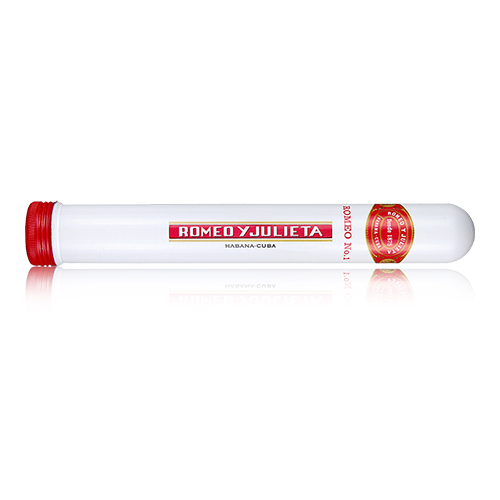 A talented promoter and a very cosmopolitan man, Rodriguez constantly travelled across Europe and the Americas, actively promoting his brand, and entering his horse, the aptly named Julieta, in racing events across the world. 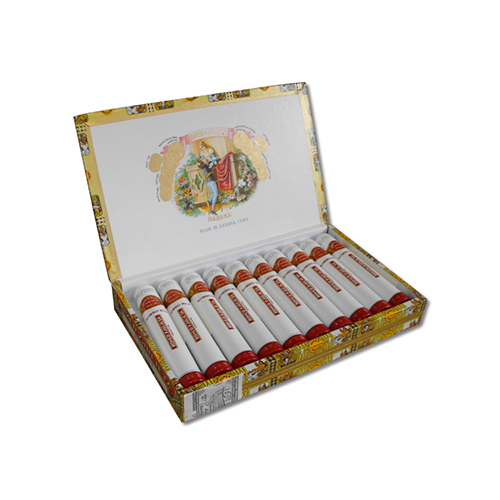 As a result of his salesmanship, the brand became exceptionally popular around the world among wealthy customers, many of whom demanded personalized bands for their cigars. 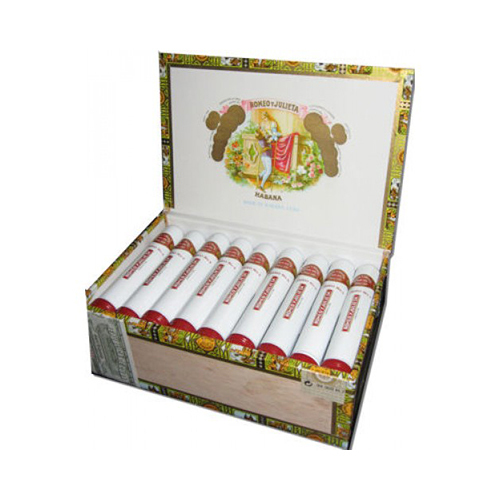 At its height, as many as 20,000 personalized cigar bands were produced for customers. 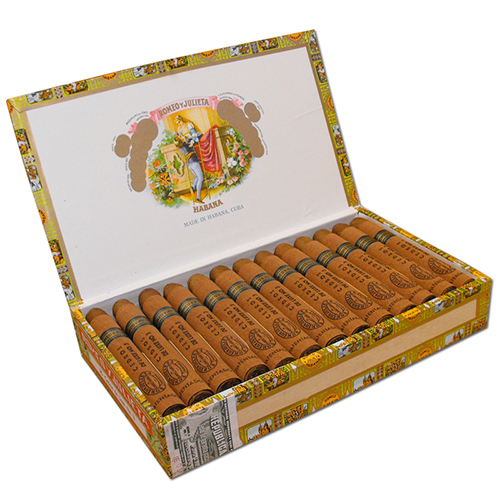 The brand was also known at this time for specializing in figurado cigars, such as perfectos and pirámides, with over a thousand such shapes believed to have been in production. 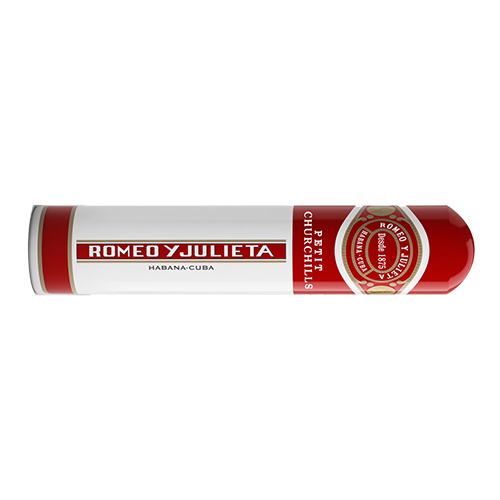 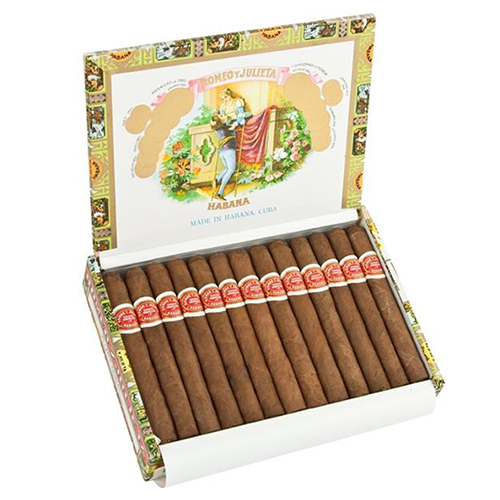 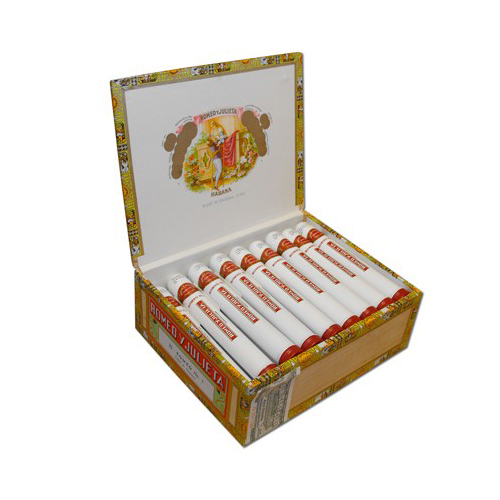 A balanced and aromatic blend of leaves make Romeo y Julieta the classic medium bodied Habano.